Last Thursday (20th Sept) I attended the Bloomberg for Education Symposium at Bloomberg L.P. Finsbury Square, London. The theme of the day was the skills that graduates need for a career in finance, and how Bloomberg can help Universities to equip students for the world of work. One key message is that you don’t have to do a finance/business degree to get a graduate position in finance. What you do need is to demonstrate enthusiasm for working in the financial sector: your degree can do this but it is by no means the only way. 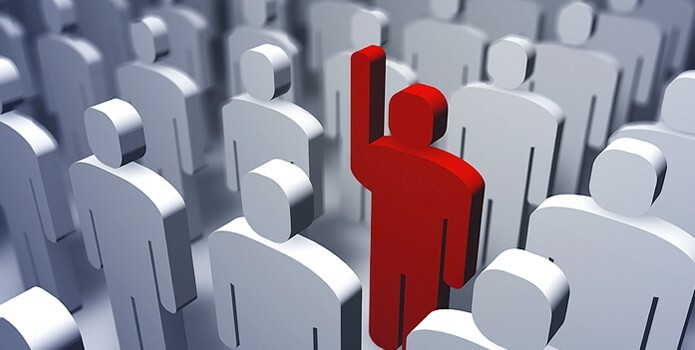 Talent is useful, but remember that there are a large range of types of jobs and correspondingly a large range of appropriate talents. [I would struggle to get most jobs at Bloomberg because they and looking for business fluency in at least 2 languages and I don’t think English and Latin would be sufficient.] Finally, recruiters are looking for a willingness to work hard, since no matter how closely your studies match your first job you will always have lots to learn. You can use Bloomberg Professional to demonstrate your interest in a career in finance. Using the same system used by professionals gives you a greater understanding of how professionals monitor financial information, and helps to bridge the gap between academic theory and current practice. Functions BU (Bloomberg University) and CHEAT (Cheatsheets) are good starting points for self-study. 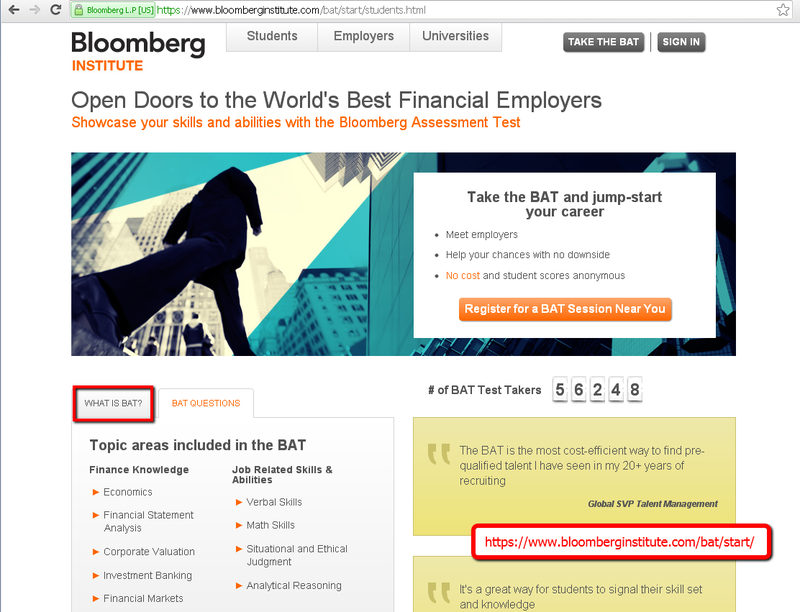 Bloomberg are also promoting the BAT (Bloomberg Assessment Test). This is a standardised test that provides aspiring financial professionals with a measure of their strengths and weaknesses compared with the global average in a range of topics: economics, financial markets, verbal skills, analytical reasoning … There is also an optional feature that allows recruiters to search for matching candidates based on their scores in the various topics. In terms of using Bloomberg Professional, Bloomberg choose to highlight the Bloomberg Industries (BI) function. This provides users with an industry view including key drivers, company comparisons and industry specific data. (See previous post on Mobile phone industry data on Bloomberg. Using the Bloomberg Careers Centre features enables you to build a comprehensive Job Search to uncover the ideal position for you in the location of your choice. Many other Job Search Features are also available via the site. 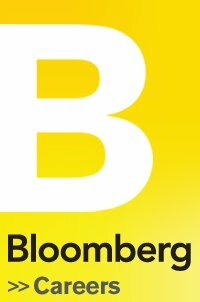 How to access Bloomberg Careers Centre? Bloomberg is available via designated PCs in the Eddie Davies Finance Zone (Please book online) and the new Bloomberg Suite without booking. The Precinct Library also has a Bloomberg monitor which can be booked. Please call 0161 306 3200.A detailed guide outlining the key features of the Bloomberg Careers Centre is also available in the “How to” Guide Section of the Library Web-Site. The MBS Library Service provides access to key resources and databases which can assit all Library users with their Job Search, Interview Preparation and Career Development. Find publications relating to your career development eg. Managing your Career, CV/Interview Preparation, Postgraduate Career Strategies and tips on Networking techniques, via the Library Catalogue. From specialist databases to business literature, Business Research Plus provides advice and tips based on The University of Manchester Library Business Data Service resources and expertise. See our About page for more details. Library Research Plus provides expert insight from The University of Manchester Library’s Research Services for researchers in all disciplines including business. My Learning Essentials, the Library’s award-winning skills progamme includes online resources with a wealth of useful tips on searching, referencing, writing to support personal and professional development.